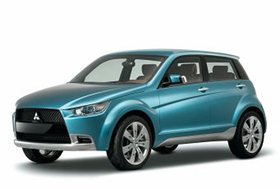 Mitsubishi's European new-car sales fell 18 percent in 2008 compared with a year earlier. The Japanese carmaker said the decline was due to poor economic conditions and the implementation of the company's strategy to switch its focus from SUVs to cars and crossovers. Sales in Mitsubishi's 33 European markets, which include Russia and Turkey, were down to 164,462 in 2008 from 200,045 the year before. In Europe, the carmaker's sales fell 19.2 percent to 104,929. The biggest decline was in Spain, the company's No. 4 European market, where sales dropped 43.2 percent 9,641. Sales dropped significantly in the carmaker's top 3 markets -- 19.7 percent in Germany; 23.3 percent in the UK and 35.8 percent in Italy. Mitsubishi said sales of its large SUVs were hit hard because of the economic climate, volatile fuel prices and CO2-based taxes. Mitsubishi expects its new Lancer lower-medium model family and new Colt variants to help offset the sales decline in 2009. The carmaker also plans a small crossover car based on the Concept-cX show car, which was unveiled at the 2007 IAA in Frankfurt.